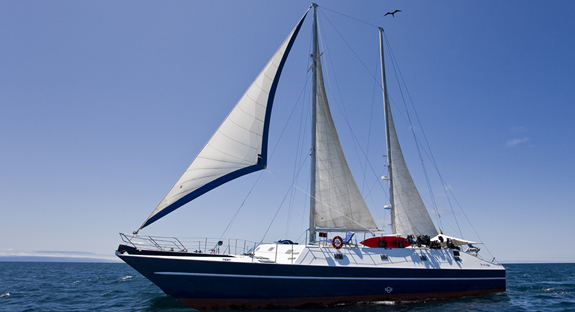 The Lammer Law is a unique trimaran which offers a more stable and swift cruising experience. Perfect for adventure-seekers and fully fitted with scuba equipment and sea-kayaks. Diving possible: Dives are included in the active itinerary. It may also be possible to dive at certain sites on the naturalist itinerary – please request this service aboard the yacht. Price / immersion: Included on the active itinerary. $165 for 2 immersions on the naturalist itinerary.